To commemorate the 100th anniversary of the end of World War 1, every child in the school brought in the end of a plastic bottle, then, in school, painted it to look like a poppy. 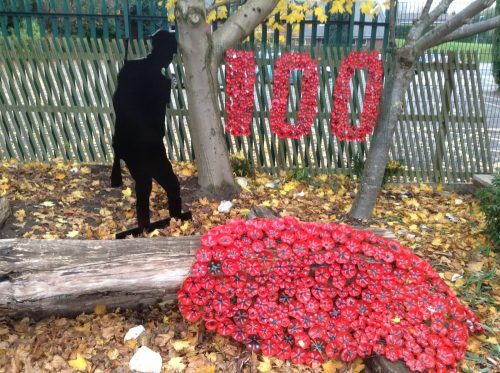 We have then turned their poppies into a piece of art to accompany the cut out figure of a World War One Solider, kindly donated to us by Swift Security Products of Rochdale. We would like to say a big thank you, to everyone who donated to the British Legion today as part of non-uniform. We raised £332.15.